Global ventures is a leading investment and technology group focused on creating value and executing on ideas with leading entrepreneurs and enterprises around the world. The core focus is centered around web-based products and services with niche markets and global scaling opportunities. Global ventures acquires technology assets while investing in solid and respectable people along with an internal incubator creating companies around leadership assets. Established in 1996, Global Ventures is a Real Estate and Technology company focused on building and leveraging electronic corporations (eCorp) that create value and network effects for member sites. Premium assets such asReferrals.com,Staffing.com, Mergers.com, Domain Holdings, VentureCamp, Handyman.com and over 20,000 others are the core digital asset and building blocks of Global Ventures. Join our Network Today. THE FOUNDER Chad Folkening is a successful serial entrepreneur. Born in Indiana, he started his first successful business at age 14, founding Student Services, Inc.(SSI) a home services management company. In 1995 he sold SSI and developed a historical building in downtown Charleston, South Carolina and converted it into a successful art/cafe called Aberrations. 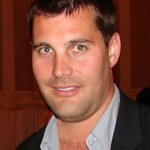 After selling the company a year later, Chad began his current venture that focuses on Internet Real Estate (platforms), Technology and Applications. Originally called Web-Based.com in 1996, Global Ventures has evolved into one of the worlds top premium domain asset holding and development companies in the world. In 2005 he purchased a 26,000 sq. ft estate in Indianapolis, featured on HGTV’s Extreme Homes, which he is currently transforming into the first Midwest live/work tech startup incubator. Current Global Ventures investments and companies include Domain Holdings and its leading flagship product DomainPower, eCorp with is patented business model, along with Referrals.com, VentureCamp, Consultants.com and Entrepreneurs.org. Chad lives with his family in Florida, California and Indiana and attended Butler University and Ball State University for its renowned Entrepreneurship program. Maida Barrientos has been in the domain development, portfolio and monetization industry since 2000 and has been working with Chad and his growing portfolio of world class domains. She is responsible for building the organization’s capacity to implement a strategic or growth plan. 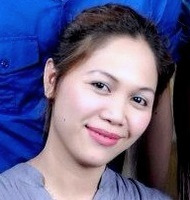 Kareen Castanos is the development head that brings the teams ideations and imaginations to life. 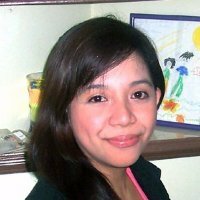 She heads the development team in the Philippines and is focused on fixing and presenting modern technological issues on Globalventures world class brands.She is also responsible for ensuring that the company’s information technology investments are aligned with its strategic business objectives.